This very special property has been meticulously cared for. From the time you drive up to this property, you will notice the detail and attention to the landscaping and trees. The 360 degree views of the mountains and foothills are breathtaking. If you have a need for storage to park equipment or store toys, there are outbuildings (yes, plural) to accommodate. 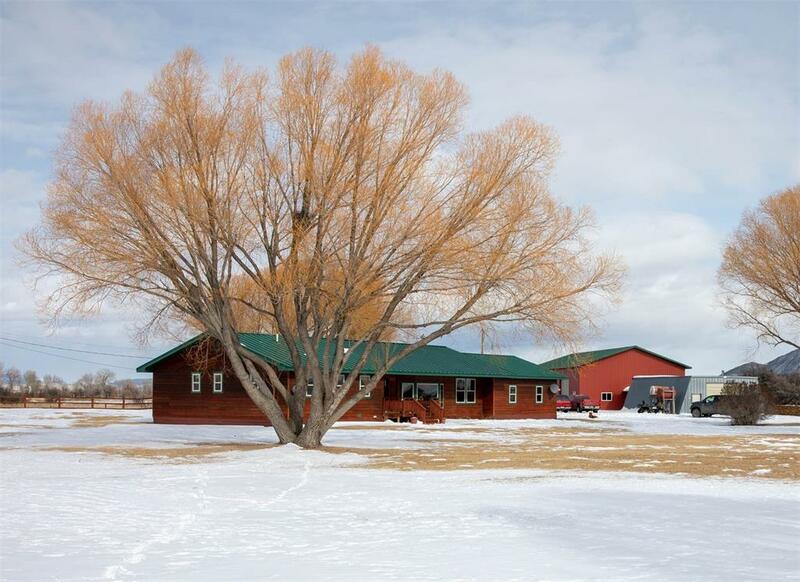 This parcel has approximately 800 feet of Jefferson river front with a seasonal slough running through the middle of the 30 acres. The cedar sided home itself is in immaculate condition and has had a complete upscale kitchen remodel in 2005. The heat source is efficient, clean, quiet, hot water baseboard radiant heat. If you want to add to the cozy factor, start a fire in the Quadrafire wood stove. The beauty of the yard, shrubs, trees, and garden in the summer is unparalleled. The views of the Tobacco Root Mountains from the living room will make it hard for you to want to leave. Don't miss this gem! Directions: Whitehall To S. Hw 55. About 8 Miles To Waterloo Rd. To Loomont Ln. 3/4 Mile To 69 Loomont.